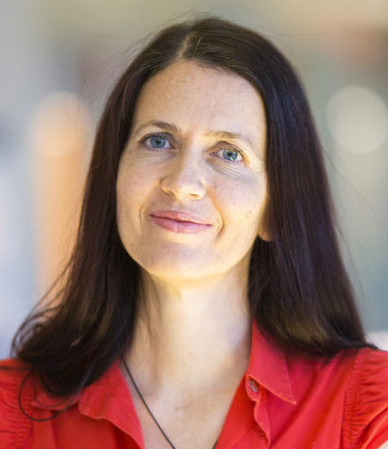 Prof. Rada Mihalcea has been selected as the Center for the Education of Women (CEW+)’s 2018 Carol Hollenshead Award recipient for her work to increase the pipeline and retention of women in engineering and computer science. Mihalcea has dedicated substantial effort to developing programs that introduce more women to the world of computing and encourage them to pursue graduate studies and research careers in the field. As the faculty champion for Girls Encoded, Mihalcea helps design and organize numerous programs through the group that develop a pipeline for women to computer science. Girls Encoded organizes events and initiatives within CSE to support this goal. In the past, this has included hosting panels of women in CS, which bring in representatives from companies to share with students what it means to have a career in this field; hosting a "Women in CS" seminar series where speakers have separate opportunities to meet with female faculty and students; and holding high school workshops to encourage high school girls to consider CS. This year, Mihalcea worked with PhD student Laura Wendlandt to introduce a new Girls Encoded-sponsored course for students with no background experience in CS. The one-credit “Discover Computer Science” is open to any student with no formal programming experience, and is particularly designed for incoming freshman women. Throughout the semester, students will work with Mihalcea and Wendlandt to see how computers connect to real-world applications in many disciplines. The class teaches core computer science concepts, code writing basics, and gives hands-on experience in several computer science areas. In addition to this, Mihalcea and Wendlandt recently earned a Google grant to develop a workshop that will give undergraduate women in computer science valuable hands-on research experience. The project, "Building a Diverse Research Community: Introducing Women to Computer Science Research,” earned the maximum award of $35,000 from Google’s exploreCSR: Google Grant Pilot Program for Undergraduate Computer Science Research Focused Workshops for Women. Mihalcea and Wendlandt believe a key strategy to increasing the number of women in computing research is to introduce them to the research process early on. The workshop they’ve proposed, spread over an entire semester, would engage around 70 undergraduate women in computing research through a series of hands-on activities and mentorship from research faculty. This way, the students will connect with role models in the field and have the chance to evaluate the potential benefits of a research career. Through these initiatives, Mihalcea has consistently demonstrated her commitment to making CS accessible and appealing to as many women as possible. She will receive her award on Oct 10, 2018 at the Michigan Theater in Ann Arbor. The CEW created the Carol Hollenshead Award for Excellence in Promoting Equity and Social Change to recognize sustained efforts by faculty and staff to promote greater equity in regard to gender, race, class, age, disability, gender identity, or sexual orientation within or beyond the university. Honorees will be those who, like Carol, have proven that social change is possible through persistent hard work and who realize that one person can make a lasting difference.